Climb aboard the Volvo L350F! 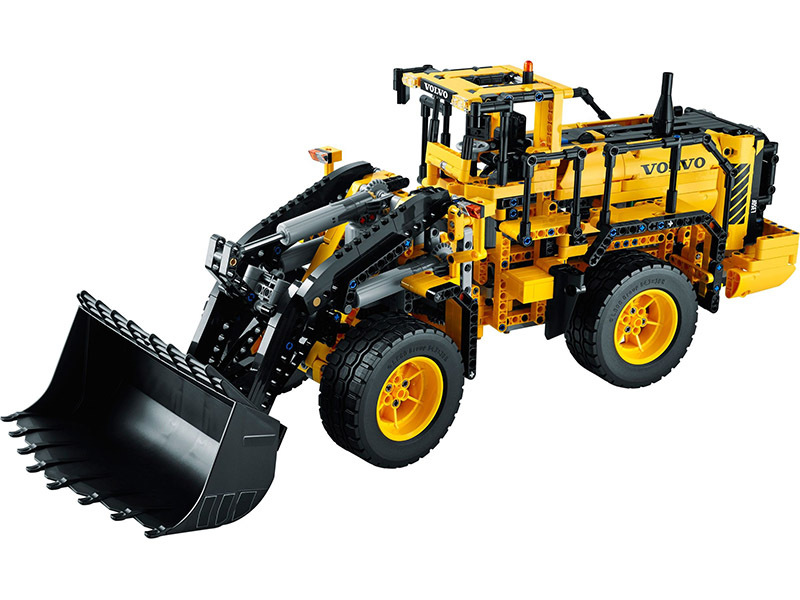 Developed in partnership with Volvo Construction Equipment, this meticulously detailed, fully remote-controlled model has all the features of Volvo’s largest real-life high-tech wheel loader. Activate the Power Functions motors, turn the articulated servo steering and watch the detailed 6-cylinder engine pistons and fan move as you drive it into position. Then it’s time to lift the arm and tip the giant bucket—the largest element we’ve ever produced for a LEGO Technic model! When you feel like another building challenge, rebuild it into the tough Volvo A25F articulated hauler. Remote-control replica of the powerful Volvo L350F wheel loader. Features a detailed 6-cylinder Volvo-green engine with moving pistons and fan, articulated servo steering, working lift arm, and a massive, tipping bucket. Activate the double remote-controlled Power Functions motors for powerful, simultaneous driving and digging action – just like the real machine!. Includes the following LEGO Power Functions components: a servo motor, an XL-motor, a large motor, a medium motor, a battery box, 2 remote controls and 2 infrared receivers. Climb aboard this powerful high-tech machine!. Bucket reaches over 14” (38 cm) into the air!. Volvo L350F (with bucket lowered) measures over 9” (23 cm) high, 22” (58 cm) long and 6” (16 cm) wide. Volvo A25F measures over 9” (23 cm) high, 19” (50 cm) long and 6” (17 cm) wide.